I first saw this announcement in an article from the Dallas Morning News on September 6, 2010. Even though Texas has been spared much of the economic hardships that the rest of the country has endured, we do have an $18 billion budget shortfall facing us in the upcoming legislative session. Mr. White’s comments were directed at trying to find ways to make up that deficit. Understandable? Yes. Admirable even. But misguided. Governor Perry has already suggested cutting the $22 million tourism advertising budget by $6 million, along with cuts to other state programs across the board. 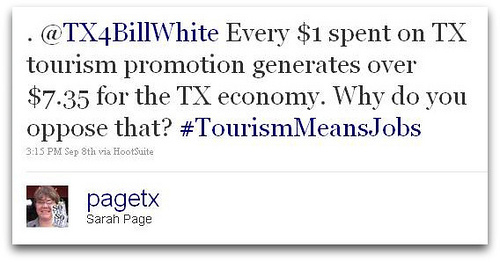 Unfortunately, what Mr. White doesn’t realize is that tourism promotion is not simply a money-out program – in Texas or in any other state. It’s true that the State of Texas spends approximately $22 million advertising to visitors. What is also true is that for every $1 spent on advertising the state, over $7 are generated in returned state tax revenues. Because those visitors spend money. They spend it in our retail stores, restaurants, tourism attractions, lodging, services, and on down the list. The money they spend generates sales taxes, and is used to fund all kinds of programs like education, health, safety, human services, and many other state programs. Zeroing out the tourism advertising budget would not help Texas overcome the budget shortfall. In fact the reverse is true. By not marketing the state, fewer people would know about what Texas offers and would not travel here. Our budget gap would only widen. 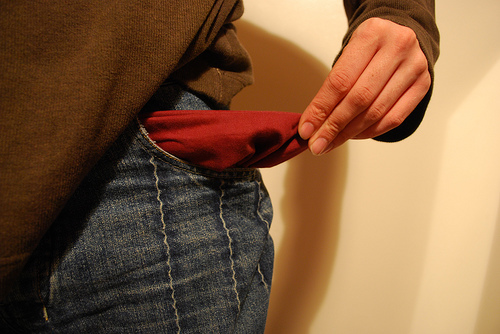 To make matters worse, the jobs of over half a million people could be on the line. Tourism is the state’s fourth largest employer, employing over 500, 000 people. Do we really want to eliminate that kind of spending power? The morning of September 7th, members of the Texas Travel Industry Association (TTIA) received an urgent call to action via E-mail. This caused a flurry of activity, the likes of which haven’t been seen in some time. Calls, letters, E-mails, and of course, social media channels were used to let Mr. White know how devastating this would be to the Texas economy. Rather than call or E-mail, I chose to use Twitter and Facebook for my battle cries. TTIA’s call to action was also posted on their Facebook page. Several members reposted TTIA’s status to alert our friends to this potential problem. I did this as well. But it’s my efforts on Twitter that I’m most proud of. I like these the best because they are personal, and they speak to the potentially devastating effects of Mr. White’s proposed cuts at the local level. This same thing was proposed and actually realized in 1993 in Colorado when the Legislature eliminated their $12 million tourism advertising budget. Within the first two years, Colorado lost $1.4 billion in annual tourism revenue. The hole deepened to $2 million annually before the tourism advertising program was reinstated in 2000. During the first few years after the advertising budget was restored, Colorado’s advertising effectiveness research showed an ROI over 12.1! According to the Longwoods International paper entitled What Happens When You Stop Marketing? The Rise and Fall of Colorado Tourism (PDF), this “clearly illustrates that marketing is an essential net generator of revenue and profits to the organization, not a cost.” With this kind of evidence as an example, it would be ludicrous to let history repeat itself. As the voices from the tourism industry grew louder, Mr. White’s position seemed to change. His campaign office responded to many of the calls, E-mails, and tweets saying that his comments had been misrepresented in the media. According to this September 9 update from TTIA, this is what Mr. White’s campaign told TTIA as well. His intentions were to only cut some of the budget just as Governor Perry had already proposed. TTIA and the Texas Hotel & Lodging Association (THLA) have pressed Mr. White to publicly clarify his position. To date, this article in the Dallas Morning News is as public and clear as we’ve heard. For many reasons, this upcoming election season is going to really be something to watch all over the country. For those of us in the Texas tourism industry, things just got a little more interesting. Don’t Mess With Texas … or our tourism advertising budget! Thanks for the update. 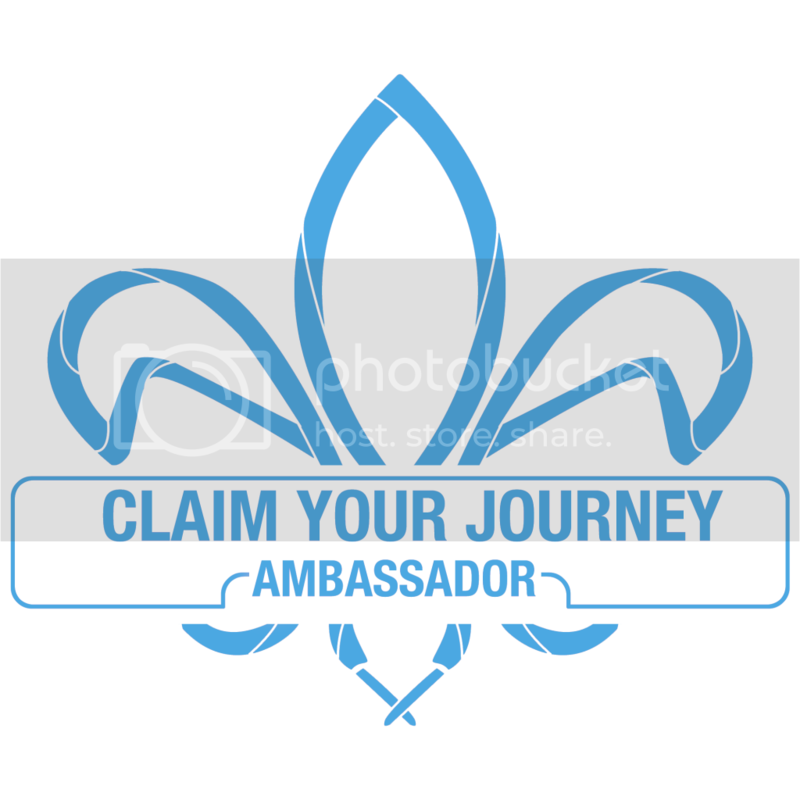 I am from Texas, but I currently work for a public tourism promotion body in another country. Budget is always an issue, but it seems clear to me that tourism truly does bring in the bucks, so long as the people doing the spending have a strong understanding of the market and how to engage it. My question is simply, what does TX do? Is its marketing strategy succesful? Or does it just throw money into a hole? 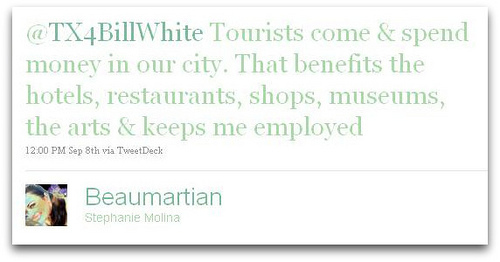 It sounds like you have a pretty good understanding of the funding issues that tourism promotion entities face. Sadly, this situation is ongoing. I appreciate your comments. Texas Tourism actually really does do a very good job at attracting visitors to our state. They have been recognized for various components of their advertising campaigns numerous times. The “Texas. It’s Like a Whole Other Country.” tagline is one of the most recognized in the world. Rather than list the successes that Texas Tourism has had, I’ll direct you to a recent document produced by the Texas Travel Industry Association in support of fully funding Texas tourism marketing: http://www.ttia.org/resource/resmgr/one-pager_-_tourism_budget_s.pdf. I think this will address your questions much better than I could. I should also disclose that I worked for Texas Tourism for nearly 7 years. And while that was over 8 years ago, I still maintain strong ties with the staff.